1. Cleanse : Clean skin is happy skin !!! 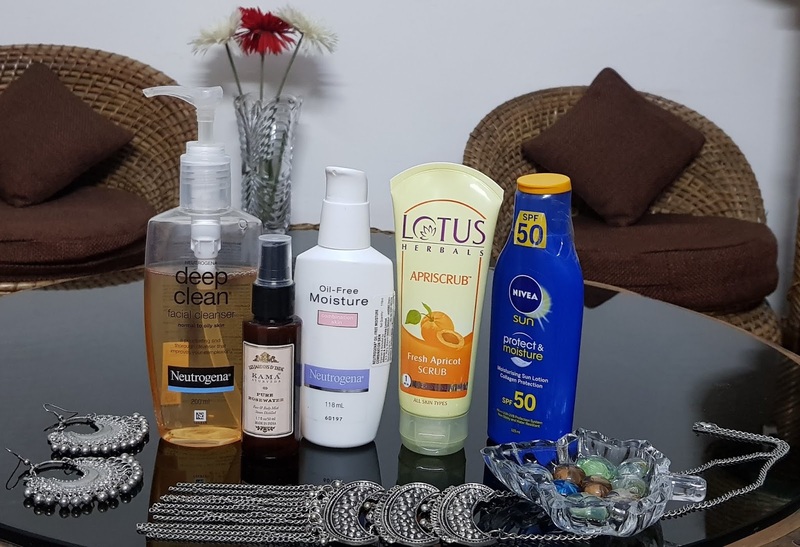 So reach for a facial cleanser when you wake up in the morning and just before you go to sleep to help get rid of any excess dirt and oil that may have built-up on the surface of your skin throughout the day. 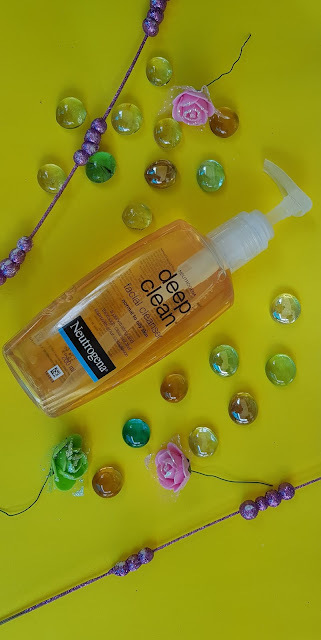 I cleanse my face daily with "Neutrogena Deep Clean Facial Cleanser" which is suitable for Normal to Oily Skin. Its a penetrating and thorough cleanser. It cleans my skin so deeply and thoroughly that it improves the look and feel of my skin. My skin is left clean with no pore-clogging residue. Complexion too looks fresh and healthy. 2. Tone : I prefer "Kama Ayurveda Pure Rosewater". This rosewater is made from the roses of Kannauj, a region in North India, rich in white clay soil conducive to roses growth. The steam distillation process used to create this wonderful rosewater ensures a high level of hygiene and purity. Rosewater is a natural astringent. It balances and restores skin's pH level and helps tighten pores. 3. Exfoliate : As our hair and nails grow, our skin also grows. Upper skin cells become dead and new cells are developed underneath. It is necessary to remove these dead cells to reveal the younger, radiant skin from underneath. "Lotus Herbals Apriscrub" is the perfect scrub to exfoliate the dead cells gently without rupturing the skin. A young, radiant skin is what you get after using this scrub. Most Dermatologists agree that you should exfoliate one to three times a week, but this depends on your skin type and how it reacts to exfoliation. Word of Advice : If you struggle with blackhead and acne or sun damage, opt for chemical exfoliators that contain AHA and BHA over your traditional granule scrub. 4. Moisturize : Moisturizing provides a protective layer to the skin that locks its moisture and keeps skin hydrated. 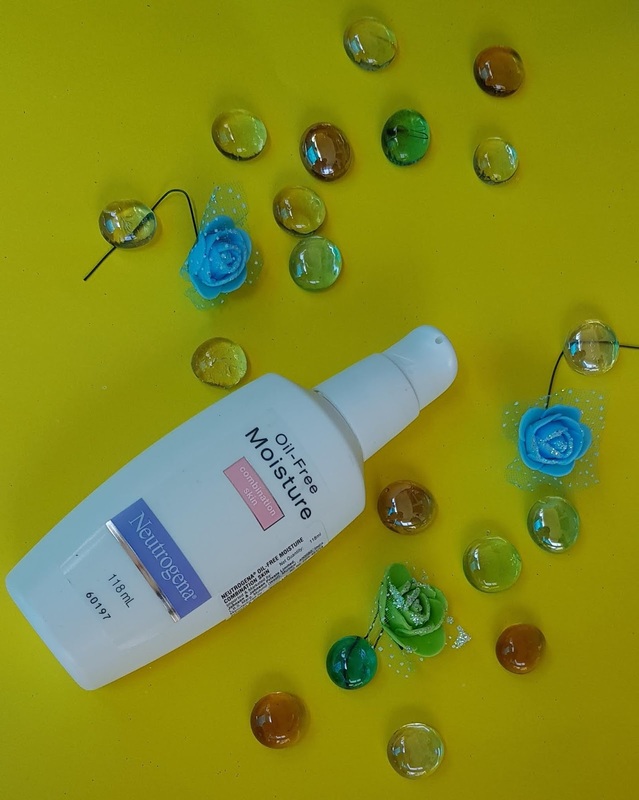 As mine is a combination skin, so, I moisturize my skin using "Neutrogena Oil-Free Moisture for Combination Skin". 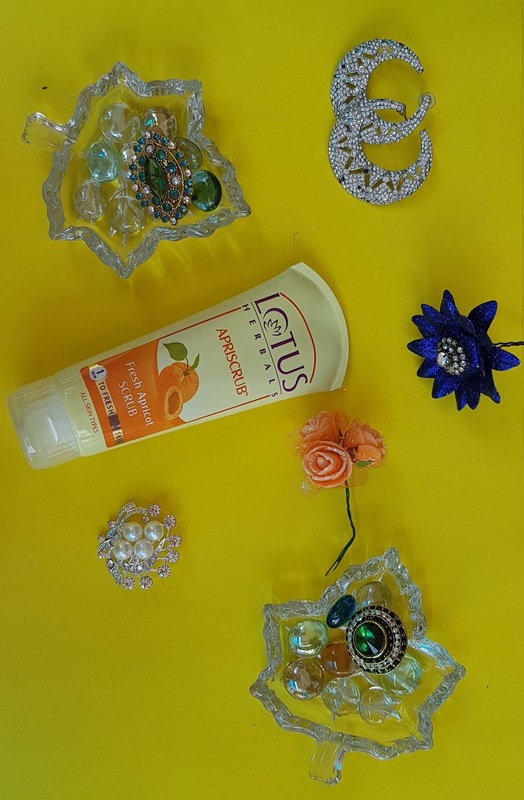 It is clinically proven to normalise combination skin by moisturizing dry areas while controlling shine in oily areas. Moreover, this moisturizer won't clog pores, is alcohol-free and fragrance-free. Using moisturizer twice daily (once in the morning and then before going to bed in the night) is super-important, even if you have oily skin. 5. Apply SPF : The sun is the most damaging factor for skin and the leading cause of skin cancer. That's why using a moisturizer that contains SPF or applying a sunscreen after your moisturizer is important for protecting your skin from the sun's damaging UV rays and to create a youthful and protective visage. 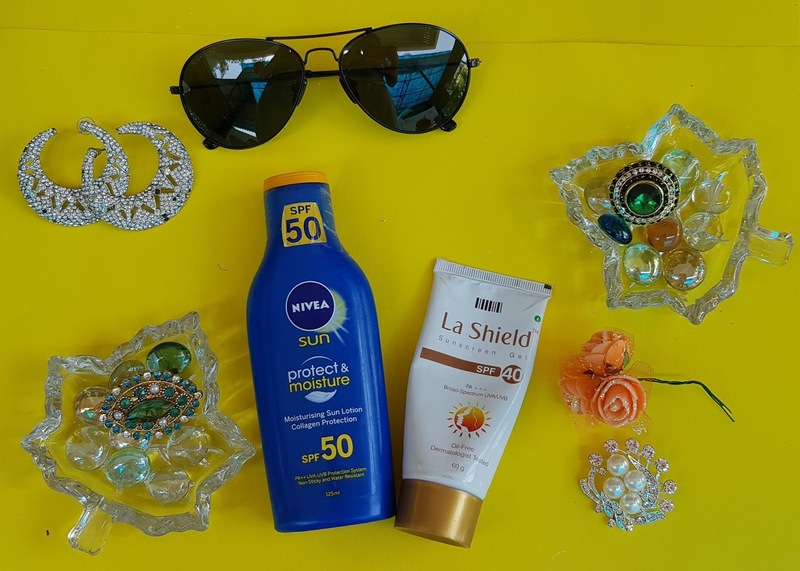 Apply SPF of at least 20 to your face for the daytime, using a higher SPF if you anticipate long duration or heavy sun exposure throughout the day. i. Include skin checks in your skin care routine. Once a month, check your skin for any spots that have changed. ii. Remove your makeup before you go to sleep using makeup remover. Sleeping in your makeup isn't exactly the great idea. When you sleep in your makeup, it can mix with the dirt and oil on your skin, leading to clogged pores which can further lead to breakouts and blackheads. iii. Limit your amount of time in the sun, especially between 1000 hrs to 1400 hrs, as these are the sun's peak hours. Look for shade, and cover up exposed areas in long sleeves, a broad-brimmed hat, pants and UV-blocking sunglasses. Hope you find these tips useful in your daily skin-care routine.